Last week I spoke to a breakout session at Oracle Open World about my new book for the first time. Since I have not yet written the first words of the new book, my talk was on much of my research. I talked about my perception of dangerous flaws in rushing toward autonomous cars and about autonomous micro-drones designed to assassinate alleged bad guys. I quoted dire warnings from Elon Musk, Stephen Hawking, Bill Gates, Eric Schmidt and even Henry Kissinger. I looked at projections by Ray Kurzweil that forecast AI machines will be smarter than people in 2029 and by futurists who see as much as 90 percent of the human workforce being laid off by 2050. I was surprisingly well received, considering that it turned out to be the most negative presentation I may have ever given. As I left, I started feeling a deep concern about the track I’ve been on. I am a career technology champion. I have written seven books talking about the benefits of disruptive technologies and urging business decision makers to adopt them fast or be left behind. 1. Autonomy. Advocates see incredible productivity benefits to replacing humans with software, robots, chatbots, holographs and so on. An example is a Lights-Out Factory, which is so completely automated that no lights are needed as it produces goods 24/7. I feel this will soon become commonplace, but there is a real danger of economic and social upheaval if this occurs too fast since massive unemployment leads both of these. 2. Augmented. 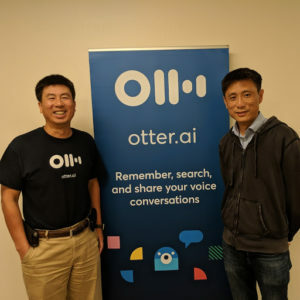 Otter.ai is a great example of AI technology that helps humans work with greater efficiency. My book is intended to champion Augmentation over Autonomy for at least the next ten years. It is not my nature to be the contrarian. I do not write tech business books intended to scare the hell out of business decision makers. And I felt that was precisely what had happened at my Oracle presentation. I felt that somewhere on the road to this new book, I had veered off course, and I did what I usually do in such cases: I took a hike in Point Reyes National Seashore. This time I took a short, but incredibly beautiful trek to Abbotts Cove. 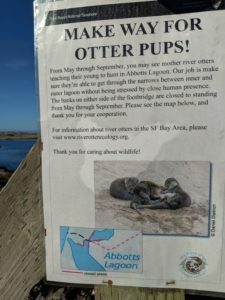 I pondered what little I knew about river otters. They move equally well on water and on land. 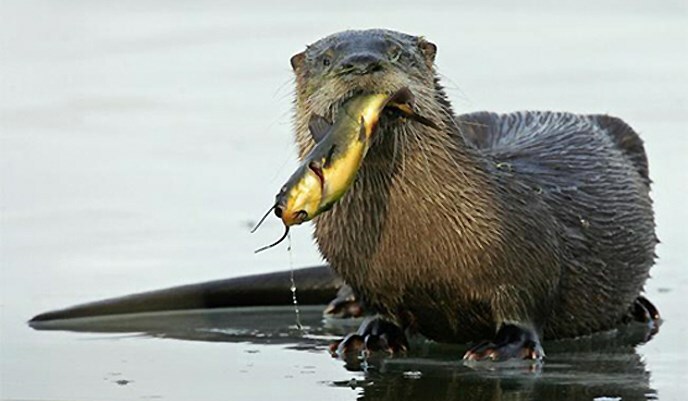 They are cute, in a weaselly sort of way, and they eat lots of fish. No meaning there. Nothing to do with Automation or Augmentation, but then it dawned on me. Since August when I announced my new book idea, I have been delving into the dark side of the future. This is necessary to tell the story I feel compelled to tell. But it is not the whole story which includes so many promising startups popping up all over the place. Startups that bode well for a future where AI augments human productivity and well-being. It’s certainly not just AISense. A couple of weeks ago I met PocketConfidant, a niche-based startup, that augments the services of executive coaches who are not always available where and when their clients need them. That is when it dawned on me, that so far I had been doing a great job of researching only half of Augmenting People. I now believe I am knowledgeable about the many issues of what could possibly go wrong in this AI Century we have entered into. Now it is time to focus on what can go right. AISense and PocketConfidant are just two examples. Now I want to find more, wherever they are. I am now in search of AI technologies, products, and devices that promise to make life better for humanity in the coming decade. If you have an idea, contact: shel@shelisrael.com. An operator will be sitting by. Thanks so much for sharing this, Shel. Can’t wait to see that new book!